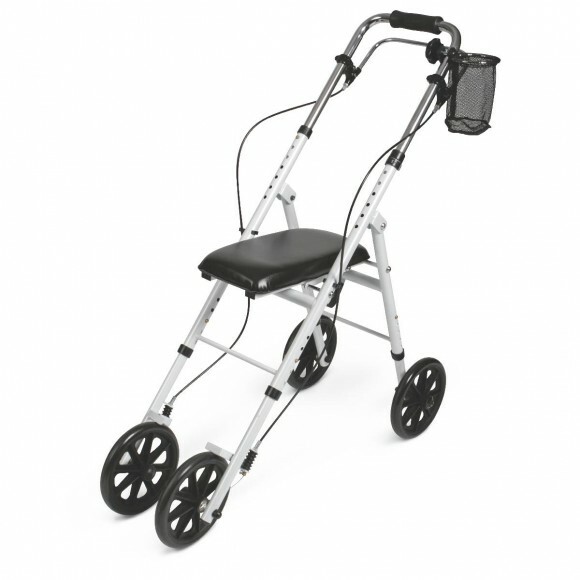 A knee walker is a four-wheeled alternative to crutches or a walker as an ambulation aid. It is known by other names, such as, knee scooter or leg walker. Over the years it has taken on many forms, from small-wheeled devices suitable for indoor use to larger sturdier units capable of use outside on grass or paved surfaces. Today’s version is usually a lightweight unit with a foldable tiller design. With the knee flexed, it supports the shin of the injured limb. The opposite foot makes contact with the floor or ground, providing propulsion. 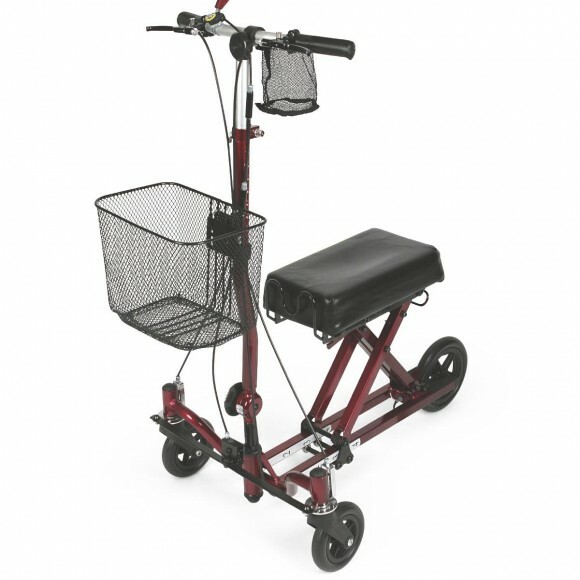 The objective of the knee walker is to create a safe, comfortable, and easy-to-maneuver alternative to the traditional crutch. Prior to the introduction of the knee and leg walker, those experiencing foot injury such as foot sprains or fractures or below the knee surgery of any type had no choice but to limit activity during rehabilitation. Their only options were crutches, a traditional walker, a wheelchair or bed rest. Knee walkers are available for rental.